Attachments are addictions. You think you cannot live without them, just as a drug addict feels he can’t live without drugs. We all have attachments. We can be attached to nearly anything, like ideas, rewards, people, objects, and emotions. The list is endless. The most important thing to remember about attachments is that we cling to them for dear life. For example, a drowning man is so attached to being rescued that sometimes he can foil the attempt at his rescue. The more he resists drowning, the harder it is to rescue him. When he becomes so attached to his rescuer, grabbing, grasping and flailing about, they both sink. You can equate yourself to that drowning man when you become attached to negative emotions and failure. But sometimes you can also be overly attached to success, sabotaging your own upward movement in life. Attachments and addictions can be recognized by the emotions they make you feel. They can create anger, jealousy, irritation, confusion, fear, boredom, resentment, and panic. You can also be attached to your emotions and objects in your life as well as your thoughts. For instance, you can be so strongly attached to your anger that you are unable to let go of it. A person can be so attached to their car that an attack on the car is seen as a personal attack on the driver. The key is to recognize the attachment. In order to get past those attachments, you have to find your observer consciousness. This is the quiet state above and beyond your usual thoughts, the place in your consciousness that can “be aware of being aware.” It is the place in your mind where you are able to step outside of your emotions and observe the attachment as if you are looking at a different person. Getting to that state of mind is different for each person. 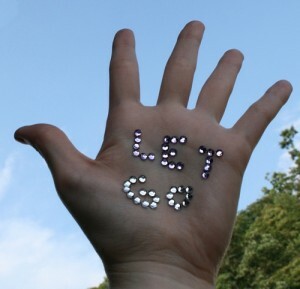 Some people can simply say “let it go” and the attachment is gone. Others use relaxation techniques to calm their minds. Giving up attachments doesn’t mean that you give up the thought, emotion, or item. For instance, giving up that attachment to your car does not mean you get rid of the car. You simply learn not to hang on to something so tightly that it drags you down like an anchor, letting go of the negative emotions that can get in your way.